A heartwarming, hilarious Christmas story with a Southern twist. Like most things in Ellery, Tennessee, this year’s Drive Thru Nativity is a little unconventional. The Dollar General parking lot doubles as a Bethlehem stable, and widowed writer Ivy Long, who’s been roped into playing Mary, sure as heck isn’t a virgin. But then comes an unexpected development: a genuine, real-life baby left in the manger, with only a brief note. And somehow, in the kerfuffle that follows, Ivy finds her life is about to change . . . The holidays are a bittersweet time for Ivy—filled with memories of her beloved late husband and reminders that life doesn’t always offer the happily-ever-afters her readers expect. So when Ivy ends up with custody of the baby, she can only chalk it up to a Christmas miracle. She doesn’t know if it will be forever, but with help from family, she’ll make little Zuzu’s first Christmas a good one. The nativity’s Joseph, aka Gabe Ledbetter, has a pediatrics background that’s coming in mighty handy. In turn, Ivy is helping Gabe find his place in the quirky community. If that place turns out to be somewhere near Ivy, well, maybe this particular Christmas story will turn out to be merry and bright after all . . .
Oh My Stars by Sally Kilpatrick is the fifth book in the contemporary romance An Ellery Novel series. As with most romance series these books change the main couple of the story as they go along but are set in Ellery, Tennessee which brings them altogether as a series. Ivy Long has been working at the Dollar General while she’s been suffering from writer’s block since the death of her husband. And of course when it comes to small town life sometimes things can be a little unconventional with the town nativity scene being set up in the parking lot of the Dollar General and Ivy gets roped into playing Mary. What Ivy never expected during her time playing Mary was to find a live baby in the manger with only a brief note. Luckily Joseph was being played by Gabe Ledbetter who is a pediatrician who Ivy also couldn’t help but notice his good looks. After getting the baby checked out Ivy finds herself becoming a foster parent and looks to Gabe for a bit of help in the new role. 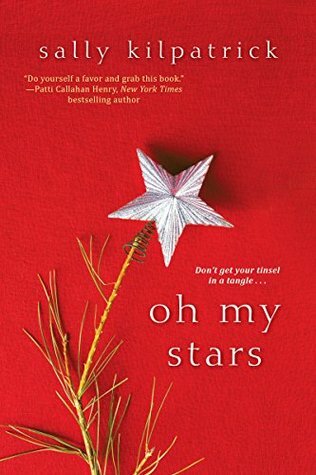 Oh My Stars was a lovely little Christmas romance but it took me some time to settle in and get to know and like these characters. It sort of felt like something was missing from the beginning to pull me into the story and I question if it’s not from jumping into the series so late in the game. The story does alternate between Ivy and Gabe with both having a lot going on for themselves and those around them so I may have missed some background to pull me in faster. However for those like myself that love the festive romances this one was still a nice story. Born and raised in West Tennessee, Sally Kilpatrick graduated from the University of Tennessee, Knoxville, with a BA in English. At UT she met and married a Georgia boy. Now they live in Marietta, GA, with their two kids. 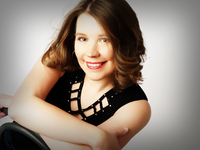 She holds a Masters in Professional Writing from Kennesaw State University and taught high school Spanish for eight years before taking a sabbatical to write and mother full time. In addition to reading and writing, Sally likes traveling, historic house tours, running, religious studies, and all things geek. Readers can learn more at http://www.sallykilpatrick.com or follow her on Twitter and Facebook. Nice review Carrie. I think I might have another from this series, so maybe I will read it first, but I am getting into Christmas stories right now. I had to close the pool, so I am in the house, not wanting to put the funace on yet. It was only 60 when I woke up this morning, so Christmas stories fit the bill. We dipped down a tad bit this past week with a few days under 70 and the overnights hitting the 40s and 50s but this next week should be back up to around 80 all week, woohoo! I’m not ready for the cold. But with the leaves beginning to fall I know it’s coming soon. Our days in the 70s are almost done. We have a few this week, but that is it. I am not turning my furnace on yet even though the nights are in the 50s.